How many times will the average person change jobs have in their lifetime? I have to admit being somewhat amazed when I went looking for the answer. The Bureau of Labor Statistics published a report in July of 2012 that tracked baby boomers born between 1957 and 1964. The report states that from the ages of 18 to 46, these individuals held an average of 11.3 jobs, a job being defined as an uninterrupted period of work with an employer. Men held slightly more jobs (11.4), while women held slightly less (10.7). The news gets even more staggering for Millennials (those born between 1977-1997). A Forbes article published in 2012 states 91% of those surveyed expect to stay at a job for less than three years. That would put their job total between 15 and 20 during their adult working life. I certainly don’t fit into either of these molds, having only worked three jobs in my post-college adult life: 1) one year as a construction worker; 2) one year as a sporting goods sales associate; and 3) 16 years in education as a teacher and principal. So my average job length is six years, but you can see that figure is a bit misleading when trying to determine what career has been most important in my life. I’ve always been a creature of habit, so figuring out when to change jobs has always been a challenge. I shudder to think about making the “should-I-take-a-new-job” decision 10+ times in my life. Because I don’t like change simply for change sake, something would really have to motivate me to look at a new job offer. 1. When there would be a significant upward change in salary and benefits. While very important to consider, I believe this to be the most insignificant reason to change jobs on this list. Yes, the allure of more money and an upwardly mobile career is very enticing. However, there are simply too many other factors and unknowns worthy of consideration when making a job switch. The money should be a consideration but I wouldn’t change ONLY for that reason. 2. When more is continually demanded, yet salary does not increase. This reason represents a bigger money related issue than simply wanting a higher salary – it’s about company ethics. Employers should treat their employees honorably and pay them based on the amount of work they perform. Employees will feel taken advantage of if they are being asked to work longer hours and handle more responsibility without compensation being adjusted to reflect that effort. 3. When the demands of the job create more stress than it’s worth. No job is stress free. All employees must find ways to cope with the job requirements. That’s part of the deal. However, if the stress begins to cause mental or physical health issues it may be time to move on. 4. When you are in conflict with co-workers or the company’s values and direction. It would seem an employee would know the values of the company and the direction it’s headed before they accept the position. That’s not always the case as only so much can be learned through the interview process. It’s possible the employee couldn’t get a clear read on those issues but accepted the position for some reason anyway. This could also play out on the other end for the employee with a long tenure at the company. It may be difficult to get behind a new leader pushing new initiatives. The company mission you once knew and loved has changed and you are finding it difficult to place your faith in the new direction. This would most likely lead to conflict with leadership and co-workers if you stayed. 5. When the company’s failures are risking closure or bankruptcy. This might be tough to spot, especially if an employee doesn’t have much access to those on the leadership team. However, there can still be signs that a company is in trouble. Layoffs, supply cutbacks, dissolved partnerships and missing out on contracts could all be signs the company isn’t firing on all cylinders. Everyone wants to be seen as loyal and not labeled a deserter at the first sign of trouble. You also don’t want to go all the way down with the ship. 6. When unethical behavior is evident. Of all the reasons listed here, this is the only one where I wouldn’t hesitate to leave no matter what else was going on in my life or at the company. A culture that defrauds customers, condones lying, engages in verbally abusive language or looks the other way at sexual harassment is a danger zone. If you see this happening, it’s time to steer clear and find a more honorable workplace. 7. When family goals or priorities change. I’m of the opinion that work is secondary to family life. So many changes occur as young adults get married and then begin to have children. What the plans are when the kids are three might not be the same when they are teens. Work priorities can begin to look quite different when a person has a spouse or children’s priorities to consider. 8. When your knowledge outgrows the position. If you’ve continued to grow and learn new skills, there may come a time when the job is no longer challenging. It can be terribly frustrating to feel your talents aren’t being used to their full potential. In that scenario, an employee who chose to remain in their position would have to find alternative ways to stay motivated. If unable to, it’s best to take those talents elsewhere. 9. When you’ve lost your passion or found a new one. Passions come and go as we progress through life and there is nothing wrong with that. What drives us today may not five years from now. We spend so many years of our adult lives in the workforce, it would be sad to endure those in a place that didn’t peak your interest or line up with a passion. For this reason, it might be a good idea to consider furthering your education should you find yourself in a similar rut. For example, if your current career has grown stale and you want to pursue a career in education, earning an Accelerated Teacher Certificate from an online university will provide you with the certification needed to start teaching. Likewise, if you already work in a criminal justice field, but are looking for a new challenge, you could always earn a Post Master’s Certificate in Homeland Security, which could make you eligible for jobs with national security agencies. 10. When you’ve accomplished all you can. There simply may be nothing left for a person to accomplish at his or her current job. They’ve seen projects through, moved the company forward and cemented their legacy in the organization. Without a new agenda and something worthwhile to accomplish, there may be no point in staying. As I mentioned, only reason #6 on this list stands alone as an absolute, sure-fire reason to leave a company. In most circumstances, there will be a combination of reasons that helps someone decide when to change jobs. The more reasons present on someone’s list of issues, the more likely it’s time to move on. 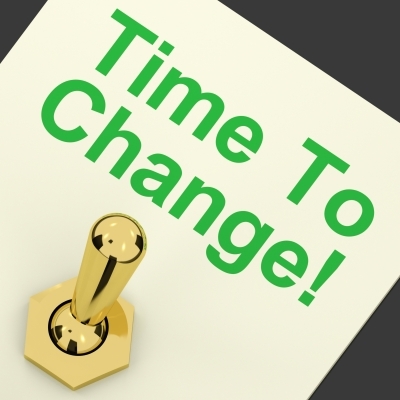 Questions: What other reasons could help you know when to change jobs? Would money ever help you figure out when to change jobs? Would you stay at a job that didn’t line up with your passion? Anyone stayed with a company until it closed? Why are people changing jobs so much? I’m 27 and I think I’ve had over ten jobs. Of course, theatre is a transient business by nature so it’s nothing too shocking. That makes sense. But at least you’ve pretty much been in the same industry, right? I am grateful that I haven’t had to deal with most of these! Hopefully, that is because I have a great job and not because I’ve only been in the workforce for 2.5 yrs! 🙂 That said, I think it’s so important to consistently keep these things in mind so that if they do ever become an issue, you know it’s time to go. It’s probably easy to get stuck in a bad job if you’re comfortable, but this list is a reminder not to do that. It might be time for me to start applying to other jobs for a number of the reasons you listed. I think your first point is a tough one. I have a post coming up within the next couple weeks about it. I could get quite a bit more if I switched a small to midsize company instead of the relatively huge corporation I work at. There’s other factors, though, that make me stay. The money should always be a consideration, just not the only one. All other things being equal, I’d probably go with the job paying more. That’s after I would have prayed about it also. I can relate to number 2, I really had a problem with my previous job. My boss was so insensitive, I tried to reach for him, but still he didn’t even care. And also number 6, his behavior towards me was very unacceptable, so I decided to leave my job. It’s really tough when you are being consistently asked to do more (go beyond the call of duty) and receive no increase in pay or benefits for that. After some time it’s easy to think your employer is taking advantage of you which can lead to bitter feelings if the air isn’t cleared. I have certainly noticed that when looking for employees. It seems no one stays at a job for more than a year, which makes it tough for hiring, but I think it’s just the trend. Since pensions and great benefits seem to be rare, people do jump ship for money or other reasons. I have worked in the same place for almost 15 years, so I guess I break the mold, but #7 certainly made me change the hours and way I work. I think you are right about the benefits issue, especially the pension. Pensions were a big deal in that they guaranteed an income stream through retirement. That was a big incentive to stay at a company long term. Now that type of benefit is rare to find at a company. Flexibility would be a huge issue for me as well. Funny how priorities change once family and/or kids enter the picture. Life’s much different when you are single and only have to account for yourself. Great list, Brian! I have left previous jobs for an increase in salary, and also, on more than one occasion, because the stress of the job was affecting my health negatively. Khaleef is the type of person that is resistant to change, so he would stay somewhere as long as he’s comfortable and there isn’t anything unethical or unbearable going on. I’m all for change as long as it’s warranted. I don’t like change just for change’s sake. I’m a big believer in moving between companies, because those moves provide the most chance for salary increase. We don’t agree on the importance of salary as a reason for a job move: it’s usually high on my list of priorities. But I’m on a path of trying to reach financial independence quickly, so compensation plays a big role in how efficiently I can achieve that goal. For someone who wants to work for a typical career length, money might move down on the list. I think it’s really dangerous to assume that a job for more money should be an automatic slam-dunk move. Money is a big priority but I wouldn’t move only for that. I’d take a look at the whole equation which would include other variables like housing, kid’s schooling, workplace environment/culture and the local church scene. If any of those raised doubts in my mind I would seriously considering staying put. To me, it’s not worth the extra money only to find misery in those other areas. Oh, of course. I hope I didn’t give the impression that money is the one and only factor to move for. We just disagree with the notion that it should be the most insignificant item on your list. Reasons #2 and #3 have been why I left previous jobs. I have been in four different positions after working full-time for three years, which I’m not really proud of. First job, the title was misleading and none of the duties I performed were what was discussed in the interview. Coworkers also enjoyed talking badly about me for some reason. Second job had no time to train me. Third was #2 and #3, and last one I left due to the move. I would love to find some place where I could settle down and grow, but that seems rare to find these days. “…settle down and grow…” It is tough but don’t lose heart…it can be done in the right situation. Great list, Brian. I feel fortunate that I have never had to deal with #6 on the list and I definitely agree that would be one instance where I would leave too, even without anything lined up. Money is certainly part of the equation but one of my biggest considerations is the work/life balance offered. I am willing to stuff a 10+ hour day into 8 but I respectfully request that I also be given enough leeway where I can walk my girls to school and be home at night in time to make and eat dinner with my family too. When I decided to go back to private practice, they had laid off my entire team and were putting more responsibilities on us with less support and less pay. It was an easy decision! “… given enough leeway…” I think this should be a huge consideration when taking a job. One thing I love about my wife’s accounting firm is that they are very flexible on hours and leaving for family related issues. She can do work at home in case of an emergency and leave for ballgames, as long as the work gets done. I left my last job becuase of #3. There was too much stress and it was controlling my life! I’m in a much better place now where I can have an actual life outside of work. Good list Brian. I think money, in most cases though not all, should be considered – depending on the situation of course. That said, money is not the end all be all so there are certainly other things that can come into play. When I was debating taking the leap into self-employment it had become more and more apparent that #6 was going on in my place of work. It had gotten so bad that I would get physically ill by just walking into the building. Once I saw that happen, it was pretty obvious to me what I had to do. I’ve been fortunate to be at a place where that hasn’t occurred. In your case, it was creating huge stress that was affecting your health. I would have left also. It’s simply not worth it. I think I’ve always had good reasons for leaving some of the jobs I had. For instance one I just kind of fell into because I started as a temp as a receptionist, then moved to an accounting assistant, which led to being a project manager. None of those things was really in my wheelhouse, but I managed OK. But that fueled me to find something more relevant to my skills. I probably would have stayed with the video game company for as long as possible, but I was laid off and the company dissolved, so that one was out of my hands. I think you have a pretty comprehensive list! I can relate to the “falling into” a position. I’ve felt that’s what happened to me years ago as a teacher. But It’s not something I’ve regretted or wished it had turned out differently. For me, it was definitely the loss of passion for what I was doing. Work is the number one item that detracts from my time with my family and if I am not passionate or happy about what I am doing then it doesn’t make sense to make that trade off. I also left a job when I had outgrown the position and the company did not want to find another job for me. It was a shame, but I didn’t want to stop my growth because the company was not creative enough to find a solution for both of us. “…stop my growth…” Companies often – either on purpose or unknowingly – create ceilings that don’t allow people to grow to their full potential. It’s sad because by doing this they lose quality people who don’t like that their personal growth keeps bumping up against that ceiling. Thanks for posting this, Brian. I can definitely relate to a few of these things. I always face a battle of pros and cons. Right now, the pros are outweighing the cons. That’s really the best place to start…making a pros vs. cons list. So are the pros to leaving or staying? Love this, Brian. #2 seems to so common these days: I talk to more and more people all the time who are experiencing this. And with the tough economy producing less available jobs, more people are willing to take on the extra work so they don’t lose their current job. I definitely experienced #2 and #3 at my old job. They always wanted more from me, but didn’t necessarily reciprocate! That was just one of the reasons I left. It’s a tough position to be in as an employer…getting the most out of your employees while still keeping the budget numbers in line. I still think you have to err on the side of increasing salaries for extra work or risk losing quality people. Interesting post and highly relevant for me at the moment. I just signed a contract for a new job. My main reason – money. They were paying obscene amounts of money and I just couldn’t refuse. I spoke to my wife and we agreed that with this job alone we could end up retiring 10 or 15 years earlier than if I stayed at my previous job. Now I know you said money isn’t everything – and I agree, but in some cases it is very very persuasive. That’s awesome Glen! Yes…money can be very persuasive…and with that kind of life alternating raise I can see why you changed jobs. If all other considerations are equal, then money can easily be the deciding factor.